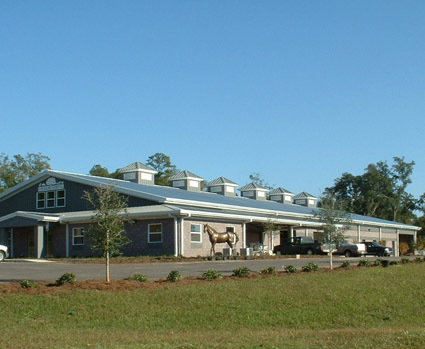 AVS Equine Hospital has a total of 20 stalls that are staffed around the clock with qualified personnel responsible for patient care. 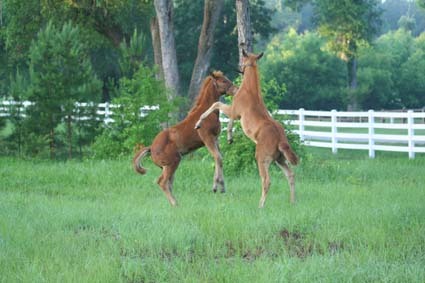 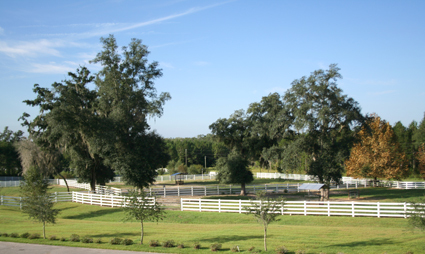 We also have 35 acres of large beautiful paddocks graced with spreading live oaks. 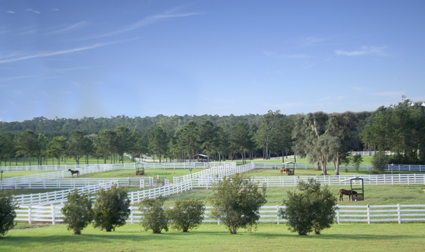 Four of our eleven paddocks are lighted, which enables broodmares to be kept under lights without having to be stalled. 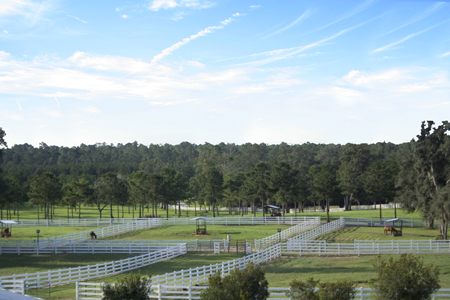 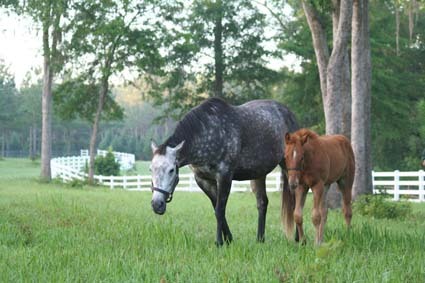 In addition to the lighted paddocks, we offer "Mare Motels" to mares who are on site for breeding management.We are not the largest hospital, which enables us to provide the family-style care we are well-known for providing. 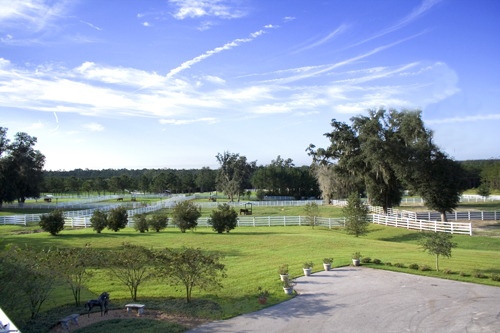 Each barn is maintained with a strict disinfectant and bio-security protocol. 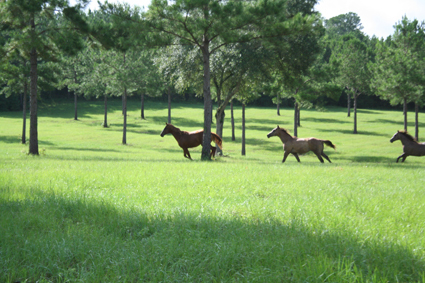 Owners are welcome to visit their horse during regular office hours. 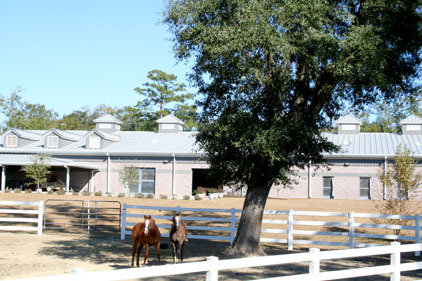 We ask that owners please check in with the front office so that we can notify the attending veterinarian, allowing them to convey any pertinent information to the client.